Freddy Jackson Brown and Duncan Gillard argue that it has a fundamental role to play in psychology making a difference in society. Far from being dead, many of radical behaviourism’s ideas are at the heart of how we conceptualise and practise psychological science today. This article looks at how radical behaviourism’s views on the social construction of science, evolution, mindfulness-based psychotherapy, neuroscience, epigenetics and public policy are playing an important role in our society. Behaviourism is dead. An early chapter in the history of psychology. From the outset its scope was narrow, and its theories simplistic; it was consequently superseded by the ‘cognitive’ revolution several decades ago. These views are commonly presented in textbooks, journals and mainstream publications (e.g. Baron-Cohen, 2014; Miller, 2003). To be a ‘behaviourist’, it seems, is to be a vestige from psychology’s past. It may come as a surprise to some, then, that radical behaviourism – and its science, behaviour analysis – are in fact thriving. To paraphrase Mark Twain, ‘Reports of radical behaviourism’s death have been greatly exaggerated’. Far from being a historic dead-end, radical behaviourism’s ideas are very much of part of our psychological present. And yet it is the very success of these ideas which is leading to radical behaviourism’s disappearance as a distinct subdiscipline within psychological science. As its tenets, terms and theories increasingly become part of mainstream thinking, it is harder to distinguish it from other models and positions. Here are some examples. 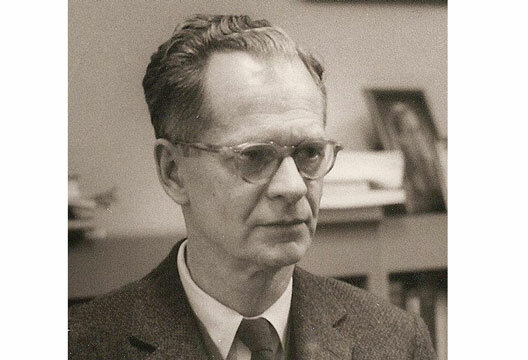 Skinner defined radical behaviourism as the philosophy of the science of behaviour. ‘Behaviour’, for radical behaviourism, refers to everything the organism does, which for humans includes private experiences like thoughts and emotions. This is what differentiated it from earlier varieties of behaviourism, which focused solely on publicly observable actions. Indeed this is partly why it was called ‘radical’. What is often less well appreciated is that radical behaviourism rejects the positivist idea that the world can be objectively known and instead sees scientific knowledge as a social construction. In radical behaviourism, science is a form of human activity (albeit a highly specialised one) and as such is subject to the same contextual analysis as any other behaviour. With its origins in the American pragmatism of William James, John Dewey and Charles Pierce (see Menand, 2001), radical behaviourism sees science as a method for finding useful ways to talk about, and thus relate to, the world, and not about discovering the ‘true’ or ultimate nature of reality. Indeed, such a task is impossible because no science can ever deliver an unbiased or fully objective perspective, as though ‘perched on the epicycle of Mercury’, of its subject matter. The narrative underpinning radical behaviourism’s view of science is invention (Hayes & Follette, 1992). It sees science as the process by which we ‘invent’ (in the creative sense of devising or formulating) ways of talking about the world that are useful. While there may be a ‘real world’ out there, we can never know it singularly or objectively. This view of science contrasts with the more traditional discovery narrative, which presents science as the process by which we are literally uncovering the deep and ultimate nature of the world around us. Radical behaviourism eschews this positivist view and is explicitly a-ontological (Barnes-Holmes, 2000). Although often thought to be mechanistic, radical behaviourism is better understood as a variety of philosophical contextualism (Hayes et al., 1988). Contextualism covers a range of philosophical models, including social constructivism, which is currently popular in psychological science (Gergen, 2001) and is particularly relevant in clinical practice (e.g. Rapley et al., 2011). Coming from the same philosophical position, it is unsurprising that social constructivism and radical behaviourism have much in common on clinical practice issues. For instance, the British Psychological Society’s (BPS, 2011) reservations that the DSM nosology decontextualises people and hence misses personal meaning are fully shared and articulated by prominent behaviour analysts (e.g. Hayes et al., 2011). In recent years the evolutionary psychology (EP) movement has sought to make sense of human behaviour and activity within a Darwinian framework. Human traits and abilities are conceived as evolved psychological adaptations in the same way our body is seen as a set of evolved biological adaptations. One of the common criticisms of EP is that the evolutionary contexts that supposedly gave rise to our psychological traits and abilities are historic and thus unobservable and untestable. As such, critics point out that EP explanatory statements are highly speculative and may be little more than ‘Just so’ stories (Rose & Rose, 2000). Radical behaviourism also understands human activity within a Darwinian framework, but one that can be studied directly in the evolutionary present. Learning is understood as the process by which we adapt to our environments within a single lifetime. Learning occurs when behavioural variants are selected by the environment and hence are more likely to occur again in the future. Skinner called this process ‘selection by consequences’ (commonly referred to as reinforcement) as the consequences produced by a behaviour increase or decrease the future probability of its reoccurrence (Skinner, 1987). Just as Darwin explained how species adapt to their environments across generations via the process of natural selection, Skinner explained how individual organisms adapt to their environments within their lifetimes via learning (i.e. environmental selection acting on behaviour). This isn’t speculation or a ‘Just so’ story. The natural selection of behaviour is not a theory or hypothesis, it is a directly observable process that has been widely studied in laboratory and everyday settings. The operant is a central concept in behavioural evolution and it is the equivalent to the species in biological evolution. Operants and species are the units that evolve and change as individual variants are selected. In biological evolution, organisms live and die as the species evolves. In behavioural evolution, behaviours are selected (i.e. reinforced) as the operant evolves. The main difference is that in a species the organisms live concurrently and are distributed over space; whereas in an operant the behaviours occur consecutively and are distributed over time (Glenn et al., 1992). Nonetheless, both species and operants are shaped by the selective action of the environment. It’s little wonder that Skinner has been described as the ‘Darwin of ontogeny’ (Donahoe, 1984). One of the more curious misunderstandings about radical behaviourism is that it can’t explain complex behaviour, such as language. Judging by how this issue is often framed, it was Chomsky’s 1959 review of Skinner’s (1957) Verbal Behavior that dealt the model a mortal blow. What’s odd about this account is that it is clearly wrong. Whatever Chomsky’s review was, it wasn’t a comment on Skinner’s functionalist position (Andresen, 1991; MacCorquodale, 1970). It was true that when early behavioural researchers began to study language they focused more on non-human animals or people with less developed communication systems. However, this was just an initial research strategy, and the intention was always to move on to more complex analyses in good time. This gathered pace in the early 1980s when Murray Sidman and his colleagues made a series of breakthroughs that led to stimulus equivalence theory (Sidman, 1994) and later relational frame theory (RFT: Hayes et al., 2001). The details of these theories are beyond the scope of this article, but in essence they describe how linguistically competent humans are able to reverse and combine learned and derived stimulus relationships. Such an ability might sound trivial, but other animals, including primates, find it very hard to do and typically fail except under tightly controlled experimental conditions. It’s an ability that enables humans to link together all sorts of events and stimuli (including thoughts and emotions) in arbitrary relationships and appears to be what distinguishes human symbolic language from other forms of animal communication. Basic behaviour analytic principles, including stimulus equivalence and RFT, have been translated into therapeutic models, with some of the most prominent being acceptance and commitment therapy (ACT: Hayes et al., 2011) and dialectical behaviour therapy (DBT: Dimeff & Lineham, 2001). Interestingly, many clinicians are not aware of, or perhaps care little about, the origins of these models. All that matters is they are helpful for clients. Radical behaviourism is interested in our biological and neurological functioning. Although it is often said to ignore our inner biology and view it like a ‘black box’, this is not accurate. Skinner (1974) was quite explicit on this issue and wrote: ‘The organism is not empty, of course, and it cannot adequately be treated like a “black box”’ (p.233). It is the case, however, that we do not need to understand what is happening inside us in order to study our functional relationships with the external environment. It is quite possible to get on with the task of researching how we relate to our wider context at the same time as the neurosciences are studying our inner biological workings. The data from one science will not invalidate the data from the other in part because they are asking different questions. While the neurosciences are shedding light on how our neurology relates to our behaviour, it cannot explain the contextual meaning of our behaviour. It may one day tell us what happens in our brains when we think and do different things, but not why we do or think those things. For instance, neuroscience can identify which parts of our brain are active when we think about playing tennis, but not why we were thinking of tennis in the first place or what tennis means. This requires a contextual analysis, and this is the realm of psychology (for a fuller discussion of proximate and ultimate levels of causation, see Alessi, 1992). Far from being awkward bedfellows, radical behaviourism sees psychology and neuroscience as needing each other. Neuroscience will deepen our understanding of human functioning by filling in the temporal gaps in our account (e.g. how past events affect future behaviour). In return, psychological science will help set the research agenda for neuroscientists by pointing them to the areas of interest. This point is understood also by neuroscience. For example, Shallice and Cooper (2011) wrote: ‘Without putative task analysis, interpreting functional imaging results is little better than reading the tea leaves’ (p.186). Neuroscience is dependent on a coherent contextual analysis to organise its activity and help make sense of its data. The two sciences need one another. Epigenetics is the study of gene expression and the phenotypic heritability that occurs without changes in underlying DNA structure (Jablonka & Lamb, 2005). Once thought to be Lamarckian nonsense, today epigenetics is broadening our understanding of how our genome interacts with the environment. Michael Meaney and colleagues, for example, separated mother rats into two groups, one that engaged in high licking and grooming (HLG) behaviour with their pups and the other that engaged in low licking and grooming (LLG) behaviour. They found that the type of maternal care rats gave their offspring in the early weeks of life correlated with how the young rat responded to stress in later life and to the type of care they gave to their own offspring. That is, the pups of HLG and LLG mothers subsequently became HLG and LLG mothers themselves. This might look like genetic inheritance – HLG rats have the genes to make them ‘good’ at maternal care and they pass these genes onto their offspring. But Meaney found that when pups from LLG mothers were cross-fostered with HLG mothers, they also developed HLG behaviour and so did their offspring. Using genetic and neurological data sets, Meaney showed that maternal grooming behaviour in rats isn’t simply about genetic inheritance. It seems both groups of rats had the genetic potential to engage in either HLG or LLG behaviour, but whether they did so or not depended on their early life experiences. And once established, these patterns of genetic expression were passed down the generations without any changes in DNA structure. Epigenetics is just beginning to understand how environmental events affect the expression of our genes in current and future generations. Behaviour analysis is at the forefront of partnering epigenetic researchers on this journey, in part because they share an evolutionary model, but also because behaviour analysis has a wealth of theories and methods that describe our contextual relationship with the environment, something epigeneticists need in order to chart how this impacts gene expression. Radical behaviourism is unashamedly Utopian. Utopia is not naively conceived as a place or destination (the term was coined by Thomas More from the Ancient Greek meaning ‘Nowhere’ after all), but rather as an ideal to strive for. The aim of psychological science is to help make the world a better, fairer, safer and more sustainable place. This is the value and direction of travel radical behaviourism distils from the Utopian dream. It’s not uncommon, for instance, to see T-shirts with the strap line ‘Save the World with Behaviour Analysis’ at ACT and behaviour analysis conferences. One might fault the presumption, but surely not the ambition. Skinner was influenced by the ideas of the 17th-century philosopher Francis Bacon, who saw the purpose of science as for ‘the betterment of Man’s estate’. Long before it was fashionable, radical behaviourism was concerned about the environment, pollution, overpopulation and resource depletion (e.g. Skinner, 1987). For Skinner these problems were fundamentally about human behaviour, and he wanted science to have something to say about them. Today psychological science is playing an ever-increasing role in how we organise human behaviour, and psychologists are making a positive contribution at every level of society. The UK government Cabinet Office, for example, has set up the ‘Behavioural Insights Team’ with the specific aim of using psychological knowledge and methods to deliver and improve social policy. In the NHS, therapies such as ACT and DBT are helping to improve psychological well-being by supporting people in living more meaningful lives. In education, psychologists have developed leading literacy and numeracy tools and the Picture Exchange Communication System (PECS) is found in most (if not every) special school in the UK. Positive behaviour support (PBS) is the primary framework for supporting learning-disabled people with behaviour that challenges, and post-Winterbourne View, it is being advocated by the government (Department of Health, 2012). It is the same story in other walks of life: marketing and business; healthy eating and diet; elite sport and road safety. The list goes on and on. The time for psychology making a difference in society is here, and models based explicitly on radical behaviourism have a central role to play. It was the historian Thomas Leahey who first wrote about radical behaviourism’s ‘strange death’ (Leahey, 1992). He noted that in spite of all the obituaries, behaviour analysis was in fact in good health and over the decades had continued to thrive and grow in terms of numbers and influence. While there is a distinct behaviour analytic community within psychological science, many of radical behaviourism’s ideas have now become part of mainstream thinking and practice in psychology and society. ‘Behaviourism is dead, long live behaviourism’, wrote Steve Hayes as he reflected on the fact that many people happily sign up to radical behaviourist ideas and principles without even knowing they are doing so (Hayes, 1987). He noticed this trend 25 years ago and it is even truer today. Such has been the widespread take-up and application of Skinner’s ideas that the Association for Psychological Science President Henry Roediger III (2004) concluded that behaviourism ‘actually won the intellectual battle’ and ‘in a very real sense, all psychologists today (at least those doing empirical research) are [radical] behaviourists’. Although textbooks often refer to behaviourism as though it were a single monolithic movement, in reality it is composed of a number of varieties, some of which are indeed now ‘dead’. Lumping them all together, however, hasn’t helped a proper understanding of radical behaviourism. Consider, for example, the persistent conflation of Watson and Skinner. Many of the ideas attributed to Skinner’s radical behaviourism actually belonged to Watson’s S–R methodological behaviourism (i.e. ruling out the study of thoughts and feelings as unscientific). While clearly inaccurate to anyone who checked the original texts, this assertion has been persistently and unscholarly reproduced in numerous introductory textbooks and beyond (Hobbs et al., 2000). Skinner predicted that radical behaviourism would one day ‘die’, but from its success not failure (Skinner, 1969, p.267). He understood that it would cease to be necessary as a distinct philosophy as the issues that defined it (such as a rejection of positivism and mentalism) were resolved and its ideas became part of what we called psychological science in general. Radical behaviourism was never intended to be the start and end point for psychological philosophy. Rather it is part of the wider philosophical position of contextualism, and Skinner understood it would stay for as long as it was useful (and hopefully no longer, for therein lies dogma). Since Skinner’s death, for instance, radical behaviourism’s ideas have been further defined, extended and revitalised (e.g. Chiesa, 1994; Dymond & Roche, 2013), and this process will continue. Far from being a chapter from psychology’s past, radical behaviourism’s ideas, principles and science are continuing to shape and contribute to contemporary discussions, theories, practice and research. Perhaps now it is time to rehabilitate our understanding of one of modern psychology’s most influential and important philosophical positions. Alessi, G. (1992). Models of proximate and ultimate causation in psychology. American Psychologist, 47, 1359–1370. Andresen J. (1991). Skinner and Chomsky 30 years later or: The return of the repressed. The Behavior Analyst,14, 49–60. Barnes-Holmes, D. (2000). Behavioral pragmatism: No place for reality and truth. The Behavior Analyst, 23, 191–202. Chiesa, M. (1994). Radical behaviourism: The philosophy and the science. Boston, MA. Authors Cooperative. Department of Health (2012) Transforming care: A national response to Winterbourne View hospital. Department of Health Review: Final Report. Dimeff, L. & Linehan, M.M. (2001). Dialectical behavior therapy in a nutshell. The California Psychologist, 34, 10–13. Donahoe J.W. (1984). Skinner – The Darwin of ontogeny? Behavioral and Brain Sciences, 7(4), 487–488. Dymond, S. & Roche, B. (Eds.) (2013). Advances in relational frame theory: Research and application. Oakland, CA: New Harbinger. Gergen. K. (2001). Psychological science in a postmodern context. The American Psychologist, 56, 803–813. Glenn, S.S., Ellis, J. & Greenspoon, J. (1992). On the revolutionary nature of the operant as a unit of behavioral selection. American Psychologist, 47, 1329–1336. Hayes, S.C. (1987, November). Behaviorism is dead: Long live behaviorism. Paper presented at the meeting of the Association for Advancement of Behavior Therapy, Boston. Hayes, S.C., Barnes-Holmes, D. & Roche, B. (Eds.) (2001). Relational frame theory: A post-Skinnerian account of human language and cognition. New York: Plenum Press. Hayes, S.C. & Follette, W.C. (1992). Can functional analysis provide a substitute for syndromal classification? Behavioral Assessment, 14, 345–365. Hayes, S.C., Hayes, L.J. & Reese, H.W. (1988). Finding the philosophical core: A review of Stephen C. Pepper's world hypotheses. Journal of the Experimental Analysis of Behavior, 50, 97–111. Hayes, S.C., Strosahl, K. & Wilson, K.G. (2011). Acceptance and commitment therapy: The process and practice of mindful change (2nd edn). New York: Guilford Press. Hobbs, S., Cornwell, D. & Chiesa, M. (2000). Telling tales about behavior analysis: Textbooks, scholarship and rumor. In J.C. Leslie & D.E. Blackman (Eds.) Experimental and applied behaviour analysis of human behaviour. Reno, NV: Context Press. Jablonka, E. & Lamb, M.J. (2005). Evolution in four dimensions: Genetic, epigenetic, behavioral, and symbolic variation in the history of life. Cambridge: MIT Press. Leahey, T.H. (1992). A history of psychology (3rd edn). Englewood Cliffs, NJ:Prentice-Hall. MacCorquodale, K. (1970). On Chomsky’s review of Skinner's Verbal Behavior. Journal of the Experimental Analysis of Behavior, 13, 83–99. Menand, L. (2001). The metaphysical club: A story of ideas in America. New York: Farrar. Miller, G.A. (2003). The cognitive revolution: A historical perspective. Trends in Cognitive Sciences, 7(3), 141–144. Rapley, M., Moncrieff, J. & Dillon, J. (2011). De-medicalizing misery : Psychiatry, psychology and the human condition. Basingstoke: Palgrave Macmillan. Rose, H. & Rose, S. (Eds.) (2000). Alas, poor Darwin: Arguments against evolutionary psychology. London: Jonathan Cape. Shallice, T. & Cooper, R. (2011). The organisation of mind. Oxford: Oxford University Press. Sidman, M. (1994). Equivalence relations and behavior: A research story. Boston, MA: Authors Cooperative. Skinner, B.F. (1969). Contingencies of reinforcement. New York: Appleton Century-Crofts. Skinner, B.F. (1974). About behaviorism. New York: Vintage. Skinner, B.F. (1987). Upon further reflection. Englewood Cliffs, NJ: Prentice Hall. Mindfulness in psychology - a breath of fresh air?